So, you’ve come home to a flooded basement – or woken up to one – and you need to know what you can do right this minute to limit the damage. If there is water currently coming into your basement, exercise extreme caution before taking any action. 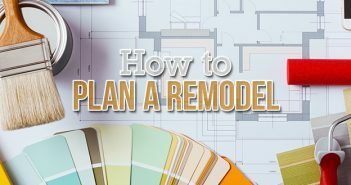 Then, follow these steps to prevent further damage to your home and keep your family safe. The first thing you need to do when your basement floods is assess how dangerous the situation is. When there is standing water in your basement, there is a risk of electric shock if the water is high enough to come in contact with an electrical outlet or wiring. Paul Abrams | Public Relations Director, Roto-Rooter Services Co.
Water Depth: If the water is more than 2 inches deep throughout your entire basement, do not step into the water; you could get shocked. Call in a professional plumber or water damage specialist to pump the water out as soon as possible. Whenever flooding occurs, regardless of the water level, if you can access your main electrical service panel without entering the basement, turn off power to the basement. If your panel is not accessible, contact an electrician to shut off the power. Submerged Appliances: If the water level in your flooded basement is approaching any gas-fired appliances, like your furnace or water heater, call the gas company and have them shut off the gas. Your pilot light could be out, and gas could be entering your basement. If you smell gas, exit the building. 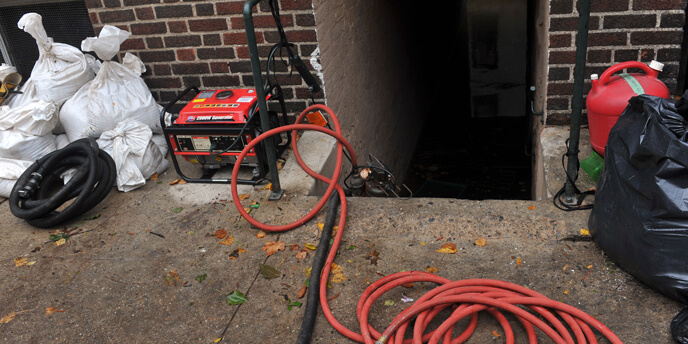 If your flooded basement does not pose an electrical or gas-related hazard, you can move on to the following steps. Your next step is to determine why your basement is flooding and see if you can stop it quickly. 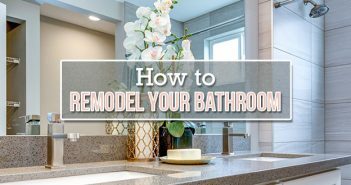 Even if you can’t stop the flooding, if you’re able to figure out where the water is coming from, you can inform your plumber or contractor as soon as they arrive and save time. Walls, Floor, Foundation or Windows: This is likely the result of heavy rains and/or a too-high water table. You may have to wait for the weather to change before the water stops rising. If water depth allows for safety, shut off power to the basement in case the water continues to rise, and then start moving your belongings to higher ground. Floor Drain: This usually indicates that there’s a problem with your sump pump or home drainage system, or that there’s a backup in the city sewer lines. Your next step should be to find a plumber and get them on-site. If the plumber determines that the issue was caused by the municipal sewer system, call your city’s water and sewage department and notify them. Plumbing or Appliances: Are your pipes or the hoses connected to your washer or water heater spewing water? You’ve found your culprit. Immediately shut off water to the broken fixture. If you think broken plumbing is the source of the problem, but can’t determine which fixture is broken, shut off water to the entire house. 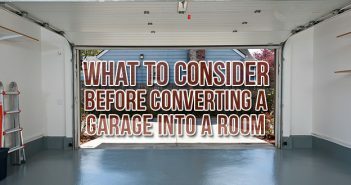 Once you’ve determined the source of the flooding, and have possibly stopped the leak, you can move on to saving items from the flooded basement. When your basement is flooded from heavy rain or severe weather, chances are your property may have more than just water damage. If you need to clean up after a storm, we can help with that as well. For more tips on basement flood cleanup and repairing water damage after a storm, check out our Essential Severe Weather Guide. Before you begin rescuing your belongings, move quickly through your flooded basement and unplug all of your electronics. This is an important safety measure to follow, especially if the water continues to rise. Once you’ve unplugged everything, start moving your belongings to higher ground. You won’t be able to move everything out of the basement, so prioritizing is key. Important Documents: Titles, deeds, passports and financial records. Family Keepsakes: Heirlooms, photo albums, books and souvenirs. Electronics: TVs, desktop computers, laptops and other portable electronics. Finally, work on getting as many of the remaining items as possible upstairs, or at least stored somewhere they’re off the ground in your basement. The faster you can dry a wet basement and prevent mold after a flood, the less you have to worry about long-term damage to your home. Start by removing the standing water. If it’s relatively shallow, go to work with mops and buckets. A Submersible Pump: You can rent or buy pumps at hardware or pool supply stores. A Wet/Dry Vac: A wet/dry vac might be a better option if you already own one, or if only a small area of your basement has deep standing water. These can also be rented at your local hardware store or Home Depot. Your basement will still be damp once the standing water is gone. Open any basement windows (if the weather permits) to help the moisture escape. Set up fans throughout your basement and turn them on high to speed up evaporation. Position them so they’re blowing out of the basement, whether through windows or toward the stairs. Set up space heaters throughout the basement to help evaporate the water faster. Note that this will result in a humid basement environment. It’s best to combine this approach with the use of a dehumidifier or two. Electronics that were damaged by the water. Fabric items that are not washed and dried within 48 hours. Rugs, carpeting and drywall that have been submerged in flood water. Drenched upholstered furniture, unless cleaned by an expert. If you have a lot to get rid of, consider a residential dumpster rental to dispose of your waste. If you’re questioning the safety of any item, call in an expert to make sure none of the items you are saving are at risk of growing mold or bacteria. Use warm water and bleach, or a cleaning product with a disinfectant, to thoroughly clean the walls and floors. Let dry, then repeat. Clean any furniture or fabric items that came in contact with the flood water with warm, soapy water. Allow wet items to air-dry, opening any doors and windows. Use fans and dehumidifiers, if possible, to speed up the process. Wipe down all exposed areas with a mold control product, or make plans to have a restoration specialist visit your home to prevent mold after the flood. Once you’ve taken these essential steps after a basement flood, you should be well on the way to a dry basement. Now it’s time to contact your insurance company and the professionals who can prevent your basement from flooding again, such as plumbers and contractors. 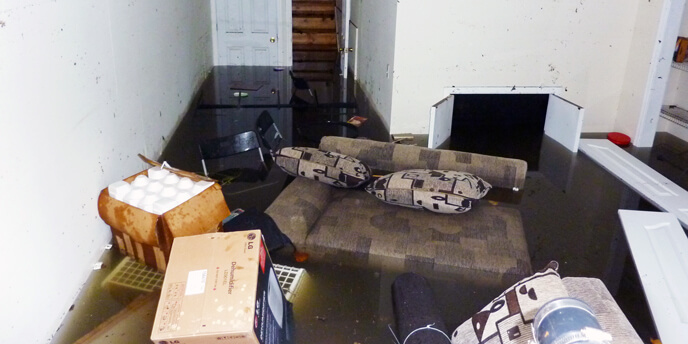 Experienced a basement flood yourself? Share your story in the comments.